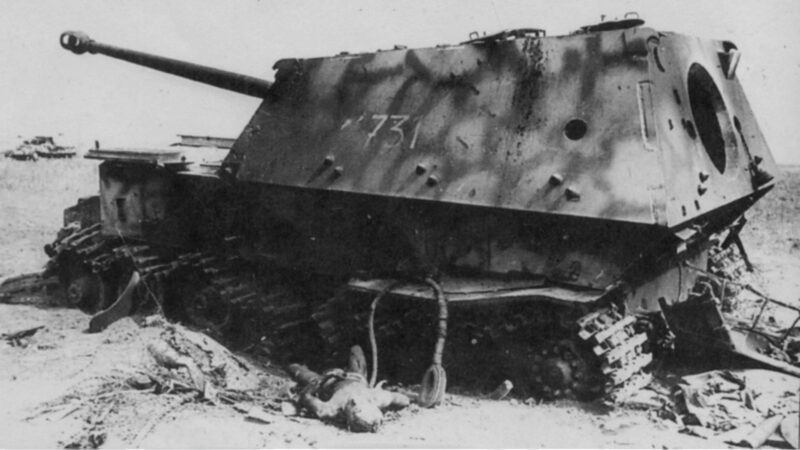 The heavy assault gun Ferdinand, number 731, the chassis number 150090 of the 654th division, was blown up on an anti-tank mine in the defense zone of the 70th Army of the Red Army. Battle of the Kursk Bulge. Later, this assault gun was sent to an exhibition of captured equipment in Moscow.